To wrap up this year’s ASPCA Go Orange For Animals month the Red Lion and the City of Spokane joined other U.S. landmarks including the Empire State Building, Niagara Falls, Graceland, and LAX Airport to demonstrate their support for the ASPCA’s efforts in advocating animal welfare. In addition to raising $2,500 for a local animal organization, the Red Lion Hotel at the Park and the city's famous Pavilion filled the night sky with a vivid orange hue. 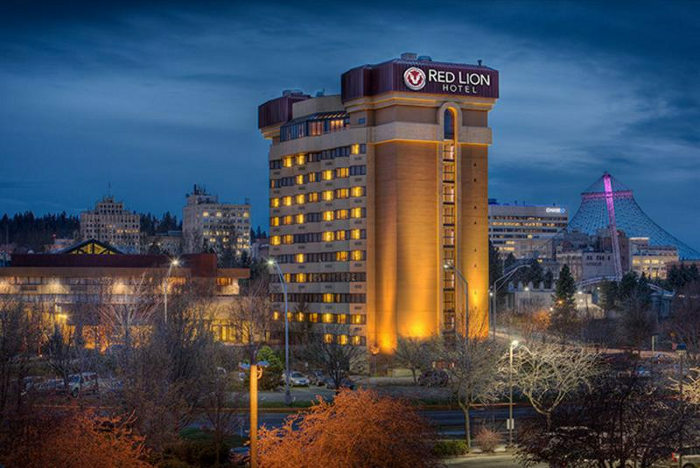 Red Lion is known to be a pet friendly company and has one of the industry's most liberal pet policies. For more information on Red Lion's ASPCA association and pet friendly policies please visit www.redlion.com/pets.